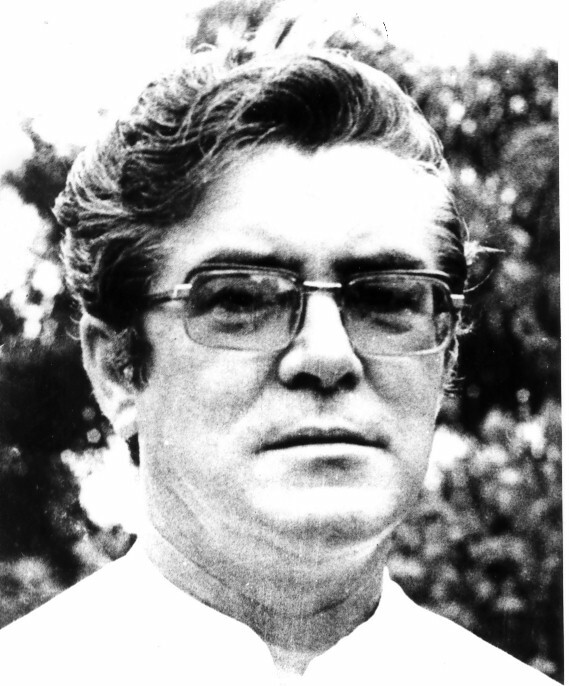 Fr Seamus Gallagher, former member of the Society of African Missions, and priest of the diocese of Raphoe, died peacefully at his home in Killybegs, Co Donegal on 2 December 2015. He was buried after Concelebrated Mass in St Mary’s Church, Killybegs, on Saturday, 5 December. The Principal Celebrant was the Bishop of Raphoe, Rt Rev Philip Boyce, assisted by Raphoe diocesan clergy and Fr Eamonn Finnegan SMA, representing the Irish Provincial Leader of the Society, of which Fr Seamus was an esteemed member for more than 30 years. Seamus studied locally in Killybegs and his secondary education took place at the diocesan College, St Eunan’s, in Letterkenny. After completing his Leaving Certificate he entered the SMA Novitiate in Cloughballymore, Co Galway [1951 – 1953] for Philosophy studies. His Theology studies were completed at the African Missions Major seminary at Dromantine [1953 – 1957]. Normally SMA priests were ordained in Newry Cathedral but, by special dispensation [due to being below the canonical age], Seamus was ordained in the College Oratory with two others on 7 April 1957. A total of 15 SMA priests were ordained that year. Four of the class are still alive. He was appointed to the then Vicariate of Ondo-Ilorin, Nigeria. It became the diocese of Ondo in 1960. In 1972 that diocese was again divided: Ondo and Ekiti. Seamus served all his years in the Ondo area [October 1957 – June 1983]. Seamus worked in several parishes in Ondo, a large rural diocese which, at that time, was a quarter the size of Ireland. In 1957 there were less than twenty SMA priests in Ondo, involved in parish and teaching. Today, Ondo and Ekiti are thriving dioceses with more than 170 Nigerians priests and a similar number of local Religious Sisters. As with all the 55 dioceses in Nigeria, they are led by Nigerian bishops. 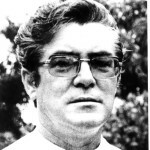 God surely blessed the work of Fr Seamus and all the other missionaries of that era. It is important to remember that the great growth of the Church in Nigeria today could not have happened without the commitment of thousands of Catechists who worked alongside the missionaries. And today the work is mainly in the hands of local clergy and religious. For some years Fr Seamus was Secretary to Bishop William Field SMA and his successor, Bishop Francis Alonge, the first indigenous bishop of Ondo. 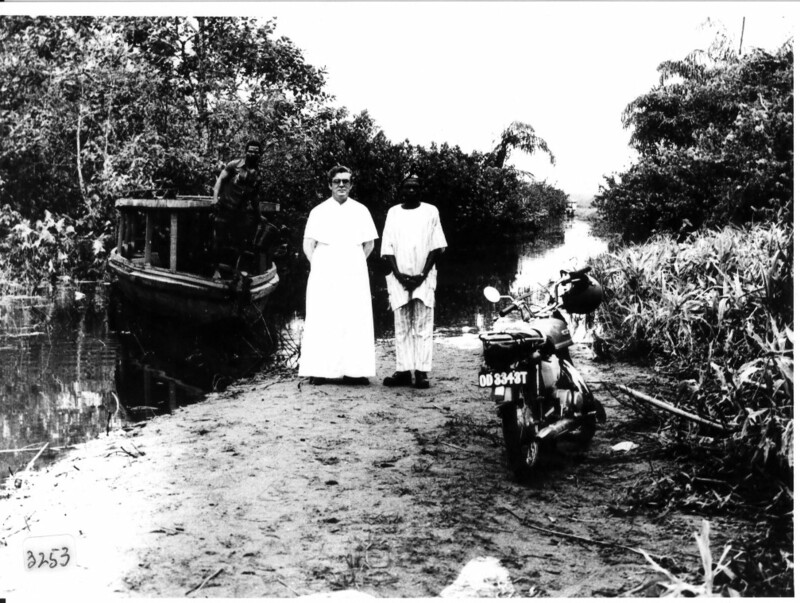 Fr Seamus and one of his Catechists is pictured on the creeks at Irele with his boat St Catherine. When Seamus returned finally to Ireland in 1983 it was natural that he would return ‘home’ to Raphoe. Though officially incardinated in the diocese in 1987, Seamus retained his links with us and we with him. His involvement in Cursillo and other groups is noteworthy. Though incardinated in Raphoe he remained a member of our SMA family. As many do when a loved one dies, many of the older SMA’s who worked with Fr Seamus in Ondo have recounted stories about him etc since learning of his death. After his funeral Mass, Fr Seamus was laid to rest in the Church grounds. Fr Eamonn Finnegan SMA led the prayers at the graveside. Ar dheis lámh Dé go raibh a anam uasail.